"I just want to 'warn' you about what you are praying for. We have created a list of people who are in our immediate environment and prayed for them to be open to the good news or to talk to God. EEI launched in Germany in March 2018! The vision of EEI UK graduate, Elmar Diener, the first training weekend took place in the snowy Harz mountains an hour or so outside Hannover. 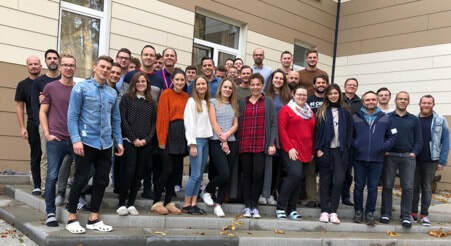 28 young evangelists gathered from Bonn, Stuttgart, and Wolfsburg. Our focus, as always at the launch of an EEI, was 'The Call of the Evangelist'. It was heart warming to be in a room of 20-somethings who have a passion to proclaim Christ and to make a difference in their generation. Joined by Red Timoteo leader, Hélder Favarin, and EEI UK graduate, Dave Brennan, we had an international feel to the faculty team as this vital training got underway. Please pray as we look to November and Module 2.